This page is for the Definitive Edition. 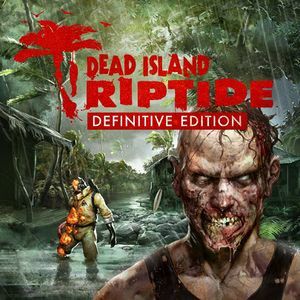 For the original release, see Dead Island: Riptide. Bundled with Dead Island: Definitive Edition and Retro Revenge. All the DLC released with the previous version is included with the game. Inside Data0.pak navigate to data\menu\movies. 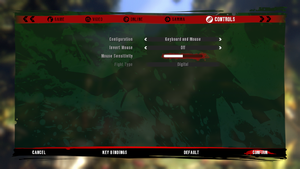 Dead Island: Riptide saves in the same folder where Dead Island: Definitive Edition saves, but uses different extensions for its files (*.prr, *.sar). 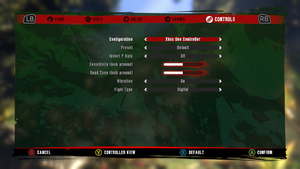 Nvidia DSR zooms in to the top left corner. 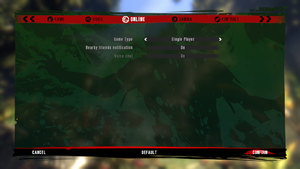 To fix, enable "Disable display scaling on high DPI settings" on the executable's compatibility settings. Default is 62. See Field of view (FOV). Changing your Field of View may cause issues when hip firing guns. Go to the DI folder inside the installation folder and open Data0.pak with 7-Zip. Inside Data0.pak navigate to data\skills and open default_levels.xml. Find CameraDefaultFOV and replace 62.5 with your desired FOV. Save and if 7-Zip asks if you want to update the file in the archive click Yes. This page was last edited on 1 April 2019, at 22:48.